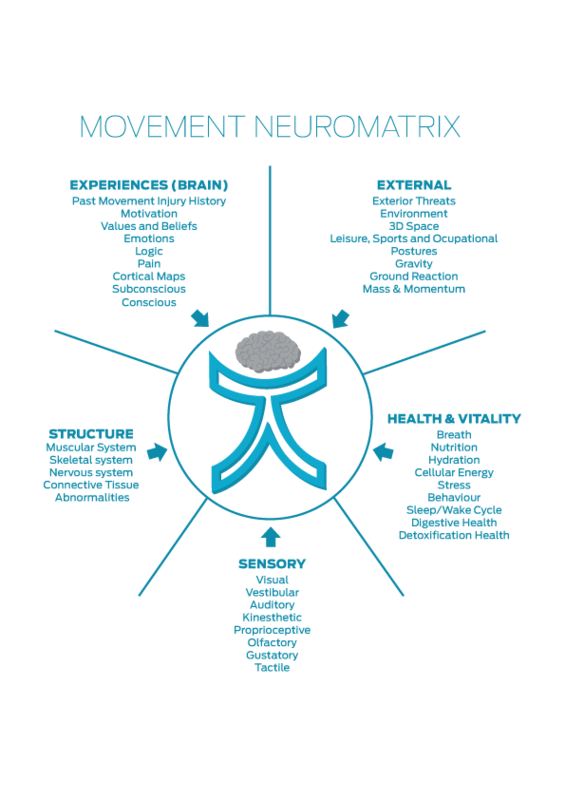 The Cor-Kinetic “Movement Neuromatix”- A multifactoral approach to movement. The ‘movement neuromatrix’ model is designed to show our movement as more than just the mechanical operation of bones, joints and muscles. All of the inputs we have listed in our model below have an affect on how our brain recognizes and responds to movement. The movement of the body should be seen as the physical expression of a neurological process, a brain ‘output’. The graphic in the middle of the diagram below represents the movement ‘output’ and is influenced by the surrounding ‘inputs’. Often we see movement purely as an ‘output’ of the body rather than being influenced by the many ‘inputs’ that the brain receives and uses to determine our motor or movement ‘output’. It has been influenced by Melzack’s “neuromatrix” which introduced a multi factorial model for pain and the many contributing ‘inputs’ that shape the pain experience. One of the largest departures from traditional views of pain, is that in the ‘neuromatrix’ pain is an ‘output’ of the brain rather than than simply an ‘input’ or signal from the body. Everything that flows through our ‘neuromatrix’ is shaped by it. ‘Inputs’ only trigger ‘neurosignatures’ or ‘output’ patterns from the ‘neuromatrix’ rather than the ‘input’ creating the ‘neurosignature’ at source An example of this is pain being created in the periphery and transported to the brain and ‘neuromatrix’ rather than sensory input triggering a pain “neurosignature’ and resultant pain ‘output’ from the ‘neuromatrix’. Other ‘inputs’ to the ‘neuromatrix’ such as stress levels can influence and modulate the pain ‘neurosignature’ ‘output’. We could also have a pain ‘output’ in lieu of sensory ‘input’ from tissue and structure. Our “movement neuromatrix” is designed to highlight one single output of the neuromatrix, movement. It is not a revision, adaptation or a replacement. More a focus and opinion on one of the many outputs from the ‘neuromatrix’. The addition of ‘movement’ to the title is to highlight this focus. In fact we could even see the process behind the ‘movement output’ as the reverse of how we perceive the pain process. Pain is mainly seen as an ‘input’ when in reality it maybe more of an ‘output’. Movement is often seen as an ‘output’ ignoring the many ‘inputs’ and contributing factors. We believe movement is similarly influenced by a multitude of contributing factors that are modulated by the brain to produce our unique movements. This model works on the premise the brain is the controlling factor in our movement. In fact our brain is able to rewire itself, strengthening the connections it uses regularly and eroding the ones it doesn’t. This is a process described as neural pruning. Jackie Yuanyaun Hau et al. This is a fancy way of saying, “use it or lose it” in terms of our neural connections, one of the major principles of neuroscience and neuroplasticity. This rewiring is a based on a multiple inputs that include our memories, structure, sensory systems, vitality and environment that create our unique ‘movement fingerprint’ or neural circuitry that defines an individuals movement potential. This all happens in the cerebral cortex where the sensory and motor systems, which rely on each other for successful movement, live. These cortical areas are now being seen as vital to understanding both our movement and pain. The body has a mind of its own. Sandra and Matthew Blakeslee. Lorimer Moseley, Professor of Clinical Neurosciences and Chair in Physiotherapy, School of Health Sciences, University of South Australia. Our movement is made up of our previous experiences collected over our lifetime, both internal and external. To see the body as a purely mechanical structure misses the great depth of experiences that constitutes the ‘movement neuromatrix’ and the role the brain, nervous system and memory play in our movement. We are able to now understand the influence of our previous movement problems on our future problems at a motor control level by looking at the brain and its various inputs. Research has shown that a big predictor of future injury is past injury! Our daily demands and postures, previous movement problems and sensory inputs are major players in dictating what happens in our future movement. Previous pain causes changes within the brain to our motor and sensory cortex that then controls our movement potential. Getting out of pain is the gold standard of rehabilitation but rarely is previous movement assessed or restored, often we take a symptom or pain reduction approach. This altered movement can then potentially create movement issues and pain at a local and global level at a later date. This means a move away from a more biomechanical or postural biased model that may look at specific structures, such as the feet, to blame for the problems the body may experience. The available research does not consistently support specific pathomechanics in relation to the pain experienced. In fact pain can be the body’s opinion of a tissues health based on all of the information contained within the neuromatrix rather than actual damage. This means that assessing in a low threshold way, such as a treatment table, may not allow you to create the right environmental factors to find the movement problems associated with an injury or restriction. Our Cor-Kinetic SAID principle of assessment tells us that the body will give us a Specific Answer to an Imposed Demand. As the demand of the assessment changes so will the response to the demand. This can be especially important with elite level athletes and the more athletic population in general. All of our senses have an impact on the way that we move to successfully process the large volume of available information our body needs to navigate our environment. Mismatches in this sensory information can cause sub optimal movement and pain. The sensory system is not just our movement information but also, and possibly more importantly, our visual and vestibular systems. Our internal health including stress hormone levels, diet, hydration and breathing will also affect our movement and pain levels. These are also included with the ‘movement neuromatrix’ when considering movement ability. Only by interacting with the ‘movement neuromatrix’ through effective movement, sensory and health based assessment within an authentic environment can we truly understand the individual and their movement potential. Melzack R, Pain and neuromatrix in the brain, J Dent educ, 2001 Dec, 65(12):1378-82. Ramachandran VS et al, Touching the phantom limb. Nature. 1995;377:489-490. I thought I would have a bit of a Jerry Maguire moment with my latest blog post! Over the last few months I have certainly gone through a period of change with regards to how I understand the human body. Anybody who regularly reads my blog may have sensed that! I have begun to appreciate the brain as the command centre for all that we do, moving away from a more functional/biomechanical approach I had previously. This has been facilitated by some pioneering characters around me who I am thankful to for opening my eyes, even if it can feel sometimes that they don’t want others to come along for the ride! I have certainly suffered my own bouts of cognitive dissonance along the way. My overiding end game will always be to get people back to moving optimally (for them) in their function. Many of my movement assessments have remained consistent, such as gait, as I am still interested in how they perform movements that relate to the movements they want to perform in related positions relative to the things that act on them e.g. gravity, ground reaction, mass and momentum! It is not so much the biomechanics I am assessing more the brains ability to control the meaty bits (muscle) rather than the mechanical motion of the bones, joints and muscles. I now realise however that many things can also impact on movement such as the visual and vestibular system (if these bits don’t go, the body won’t either!) emotion and memory of previous injury. Pain also has changed for me, it is no longer simply a result of poor biomechanical motion but instead interlinked with many factors in the brain that can often have nothing to do with our structure or feedback systems at all. But this is not the time or place to go into that now. One point is that in some circles people are starting to see pain as multi-faceted with many contributing factors. Melzack’ s Neuromatrix theory (1999) has thrown a new light on pain and pain science. Movement is similarly multi factorial and we are now starting to see the contributing factors as a “movement neuromatrix” with many of the contributing factors coming from outside of the biomechanical realm. We are seeking to simply outline these factors that would influence a “movement neuromatrix”, both internal and external. A new way of thinking has allowed me to understand why a functional/biomechanical approach has allowed me to achieve success in the past and also explains some of my failures as well. One conclusion is that for some people complex functional movement can be far to much for their bodies to handle. At best we maybe ineffective but could we be making things worse? We know that if we give someone a movement task to achieve they will find a way to achieve it with the movement ability that they have. Often times by using the movement pathways that are available to them and that they use regularly. By feeding them these “functional” patterns we may not have changed anything, merely reenforced the movement they had previously. The more complex a movement involving many joints the more ability of the body to use different bits it can use rather than the target joints we would like it to use more of. If we do succeed in making it look better through hands on techniques or coaching the movement does it stay this way when we are left to our own devices without outside help? Does the person have the hardware (brain and neuron connections) to run the software (movement pattern) successfully? 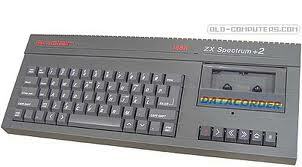 An analogy I like to use is that of trying to run a PS3 disc on a tape computer from the 80’s! A purely feedback based approach dictates that the hardware (brain) is set. But the exciting and fast moving world of neuroscience tells us differently. 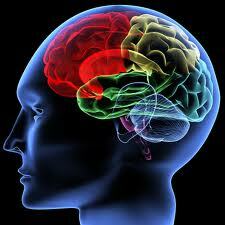 Our hardware relies on a few principles of neuroplasticity (the ability of the brain to change). This is that “neurons that fire together, wire together” and the principle of “use it or lose it” Simply put this means that neurons associated with movements we use often will strengthen their connections with the other associated neurons and neurons associated with movements we don’t lose their connection strength. This is a process known as neural pruning. These neurons will be associated with firing up the muscles at the right time to create the reactions we want. These neural associations also create the neural representations of body parts we have in our cerebral cortex that have been referred to as maps. Our movement is governed by our maps. If our map is poor then our movement will also be poor. Our map is regulated by the way we move and also then dictates the way we move. If it is poor, blurry or smudged (Blakeslee 2010, Butler 2006), the terms some have used to described eroded maps, then we create a cycle of faulty movement that is hard to break. The maps have also been associated with chronic pain through the incongruence between predicted and actual propriceptive feedback and an altered body schema (Harris 1999, Mcabe et al 2005). Mismatching feedback from our senses when integrated, such as in the cerebellum, has been hypothesised by many as a cause of chronic pain. An example I have used previously is that of the flat foot, the map for the foot may not have strong connections associated with creating an arch (if you feel this is creating a problem!). Helping some one do this hands on or with complex exercise may not be enough to change the hardware and may explain why the predominant foot posture prevails. We can create movements that facilitate a supination reaction in the foot but do we do it within the parameters of the function? 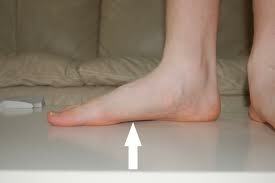 We know that external tibial rotation creates supination of the foot in gait. If I have to create much more external rotation than would ever happen in gait to create supination, either through hands on manipulation or exercise, will that have a crossover into my desired function e.g. gait? Will it become the predominant motor pattern within the brain when in subconscious function? Maybe not if we don’t have the right sensory or motor maps to understand and create it. We may have to use a more targeted methods in specific areas away from function to increase the sensory feedback and therefore motor control. It may not look like function but may have a functional response within the hardware (brain) that allows us to use complex software (authentic functional patterns) and get the desired outcomes. In fact an inability to perform specific targeted movements at a joint may be an indication of sensory and motor changes through neuroplasticity within the sensory motor cortex (Moseley 2009, Moseley and Luomajoki 2010) Will the body choose to use areas it cannot control effectively when faced with a complex task, such as an integrated functional movement, if it has the ability to compensate through many joints it can use to achieve the task? We must not confuse increasing the hardware through joint motion by just applying a specific pattern to a joint. Our motor control is a general ability to perform many motions not an ability to perform a clinical and contrived motion or “corrective exercise” at a joint as directed by some practitioners as being indicative of good function or problematic if not performed correctly. Our focused joint mobility exercises should look at increasing our feedback to the somatosensory areas which will help increase our cortical mapping through neuroplastic rewiring. The key is in the reintegration to the gross functional motor pattern. Putting the joint back into a functional context with the rest of the body to allow it to play its full roll in global range of motion and force dissipation and creation. 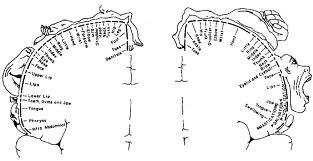 This must also be done at differing loads, speeds, movement variations and levels of stability. We know that the body may not choose to use movement it has available if unable to control it (motion and stability). Again this is a skill that can be enhanced through movement education in an authentic context, such as a functional position. 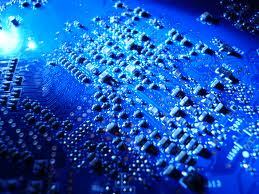 Many solely brain based approaches may assume that once we have the hardware we can run any software. But we still have to apply, learn and refine that software program to make it better and that’s where functional movement comes into its own! As always this is just my opinion on the way certain things may work within the brain and body. Certainly not evidence based in a traditional sense. We must remember however that evidenced based is based on evidence for the questions we have asked, not the ones we haven’t yet and is biased by the view of those asking the questions. If that is based on a traditional anatomical understanding of the body then the answers will be related to the bias! Harris AJ. Cortical origin of pathological pain. Lancet 1999;354(9188):1464e6. No motor learning attached to walking, really?? It would seem my previous blog has generated some discussion on whether walking is simply an innate skill or there is motor learning attached to the process. For me it quite simple, but hey I am a simple guy. Firstly we must not confuse learning with being taught. No one teaches you how to walk. But it is a self-driven learning process. In fact is it driven by a desire to walk? 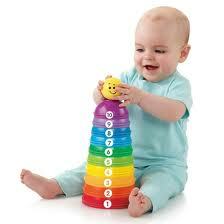 The sensory motor stage of development as described by Piaget between 0-2 years involves learning by trial and error. As discussed in the previous blog failure is biological necessity. Piaget also talks about goal-orientated behavior to bring about a desired result when we get to around 12 months. Right around the time we start to look to walk! Well walking is just that, a goal orientated behavior. It is a better way to move around the world, just like those we see around us. It maybe an innate desire, who knows, but it is not a desire realized without the need for motor learning. 1. Possessed at birth; inborn. 2. Possessed as an essential characteristic; inherent. There has always been a discussion about whether walking is innate or not. So I suppose it is a matter of opinion. But not a fact. So do we possess the ability to walk at birth? Well no, or we would walk out of the womb or soon after! Fish are born with the ability to swim. Humans are not born with the ability to walk. Our reflex ability’s are the sucking reflex , clasping reflex, Moro reflex, Babinski reflex and Root reflex. We do have a stepping reflex but this is not walking which comes with motor learning. This is a simple reflexive action rather than a complex and coordinated skill. Although there may be elements of walking that are pre-encoded as research as suggests, even blind children learn to walk, and demonstrated by basic reflexes such as the stepping reflex. It is not a purely innate skill such as breathing or swallowing which we are able to do as soon as we are born however. Blind children will still have to go through the same motor learning process as their sighted peers if not more so. The environment we learn and experience will also play a part. Think of feral children who move like the animals that have adopted them. The fact is we do not just get up and walk. We go through stages of motor learning to get there. Even without the rolling and crawling (which also involve simple reflexive components) that comes before, we first practice standing and swaying finding our balance, then take one of two steps and fall. We get up and try again practicing the complex motor skills associated with locomotion. Next time we make more steps. Even the observation of people walking is involved with the motor learning process. Imitation through mirror neurons is vital to human development. This process I believe shows we are learning through experience, which by definition would not make it purely innate. Associated reflexes maybe hardwired but the gross skill certainly is not just there and available as it later in our lives after we have been through this process. That’s why we start of waddling and swaying and then refining until we are more proficient at the skill. We do this through a learning process. A motor learning process. We make neural connections and then myelinate the pathways to improve the firing rate and strength of the motor pattern. This is Hebbian learning. “neurons that fire together, wire together” So we practice like any learner of a skill that is new. This is not a purely innate or reflex based scenario. The first stage of motor learning is the memory encoding or cognitive stage where we are cognitively aware of the task that needs to be performed. The performer may be more concerned with what to do rather than how to do it. This maybe described as a desire to walk. This maybe something we are born with. But certainly does not replace the motor learning stage. In the associative stage the participant is now concerned with performing and refining the skill. The conscious decisions become more automatic and can concentrate more on the doing of the task. The autonomous stage is when the action being performed is automatic. Walking without conscious thought is a good example of this. This process is vital for efficient operation in the brain. Moving without conscious effort decreases the need for conscious attention on the task. This means the task can be moved back down the brain from the frontal executive areas associated with conscious thought and put into action in older areas such as the cerebellum and spinal cord. Looking at reflex’s does not give any credit to the brain and its role in everything we do and how we learn. It is a simple and limited way to understand the body. A bit like just seeing muscles as simple reactors to bone motion which gives no credibility to the understanding of motor patterns, their development or neuroplasticity as a concept. If you are being taught this way are you being kept in the dark? This is just a quick blog that was inspired by taking my son to the park yesterday. It is more anecdotal than scientific but something that I wanted to get across. My son is developing so fast at the moment and it is amazing to watch. He is now 16 months and the two biggest areas I see his development in are movement and speech. It got me thinking about how we correct peoples movement problems and teach them to move better. So many times we hear about a movement dysfunction being blamed on a muscle ‘not firing’ at the right intensity or at the wrong time or instead of another that should be firing. We lie people down and prod and poke them, cajole their poor muscles into firing. Ask them to make strange and alien movements they have never made before in the name of ‘firing a muscle’ This term, or the term “muscle firing pattern’ are some of the most searched terms on google with regards to my blog when I look at the stats. This makes me ask, is this how we learned to move in the first place? So the question is, why if we never learned to move like that, why are we relearning to move like that? My son is building a broad vocabulary by interacting with the world, performing relevant functional tasks (many pointless right now I may add!) that will serve him well in the future. He learns to roll over, then crawl, then walk and finally run. He squats down in a million different ways, he learns push himself up and climb, again non contrived and with countless variables. He picks things up and I can see his fine motor control developing as he fumbles with tasks we would find simple to perform. Slowly these things improve and get more complex, quicker and less thoughtful. How much of this relates back to how we now try to correct movement through perfect, contrived, non functional and isolated muscle activation. Well not so much! He is learning by playing and exploring the variables. Our brains love novel movements, especially when the vocabulary of movement becomes reduced by our limited variability and repetitive daily lives. All of this is creating neuroplastic changes in his brain that he will continue to developed on a neuronal level for the rest of his life. Neurons that fire together, wire together. 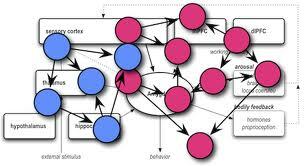 The less neurons you have working together in a movement pattern then the less will fire together and wire together. By attempting to isolate muscles, more likely movements though, we are creating disjointed motor patterns, not fluid and variable motor learning environments. Do we sometimes have problems though not because of the lack of specific motion but instead because we have lost the broad base or vocabulary of movement that we learned early in our lives. Our movement capabilities become eroded by what we do everyday. Sitting down, contrived and rigid exercise, specific muscle activation exercises. We don’t explore our movement potential through play and variety the way we used to earlier in our existence. Neuroplastic change is not always positive. Another neuro saying is ‘use it or lose it’, this describes neuronal connections that unused will wither and die. These can be those involved with our ability to move like we did when we were children or adolescents when we explored the boundaries of our movement much more. In fact we learn by failure. Failure is a biological necessity we all go through in the learning process. Not perfect movements straight away, first time. Learning new movements can be something we stop doing as we get older and set into our movement routines. We feel if we do not have perfect form then it is not worth doing an exercise or movement. Think about learning any sport, mostly in the beginning we are pretty bad and persevere. We do not ‘activate’ the perfect motor pattern or muscle and away we go. We start off being bad and getting better as we learn the associated movements. Have we become to clever for our own good? Our knowledge of the anatomy of the body has become vast. We have dissected bodies and created big books with wonderful illustrations that tell us the precise location and action of all the muscles. Which in itself is a great human achievement. We have clinical practice and evidence based research to guide what we do. Has this all missed the point slightly though. If we are not going to look back at how we learn to guide our motor learning in the future then evolution has failed. Nature has computed the variables already. She has had billions of years of practice developing the best ways to create functional human beings. We seem to have kind of become counter intuitive delving deeper and deeper into the complexity of the body rather than embracing its spirit and multi-faceted movement ability in the three dimensional environment we live in. Looking back at when we seem to have the least of our problems and when most of us moved best without the aches and pains. This is not saying we should squat like babies etc etc. Simply looking back to our motor learning period that forms the basis of our movement and how we do it! Not a hugely scientific blog I am afraid. Just some thoughts. In the first part of this 3 part series we looked at patterns and how the brain recognizes patterns of information to then be able to recall or auto-associate a response from stored memory. In this second part we are going to look at perception and the systems that send this sensory information and how it is centrally processed. We compare the stored pattern with the sensory pattern flowing into the brain to then be able to make a prediction on the likely outcome of executing the stored pattern. The cerebellum is vital to this process. One of its major roles is matching the senses with the stored patterns and help executing and adjusting the associated motor programs. Our perception helps us to compare the stored pattern with the actual situation that is occurring. The sensory information includes muscle length and tension, joint position, pressure, vibration and temperature and pain signals. We also receive sensory information from the visual and vestibular systems. We refer to it as perception rather than information because the way that we perceive this information wildly differs from one person to the next. In fact the same person can perceive this information differently one hour to the next. A signal that may cause pain when you feel tired and sensitive may not bother you when rested and strong. This is because this information is centrally processed and modulated by our ‘neuromatrix’ as we first discussed in part one of the blog. Our energy levels, stress levels, health, and emotional state affect this modulation. You name it and it will affect your central processing of information. Our sensory pathways are recursive meaning the higher centers in the brain modify and shape the incoming flow of sensory information. 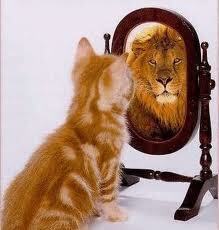 Our perception of the world is shaped by us internally as well as us externally. Much the same as the information we read is shaped by our political and moral beliefs. Two people can interpret the same information differently based on their internal modulation. Perception is not a direct record of the world around us but a subjective interpretation. German philosopher Kant referred to these brain properties as ‘a priori‘ knowledge. Our main sensory sources of information from the body are the ascending somatosensory pathways that flow up the spinal cord into the cerebellum and Cerebral cortex. The cerebellum receives subconscious information that allows us to move effectively without the need for conscious thought. 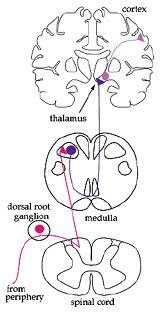 The Dorsal column medial leminiscus pathway or DCML transmits conscious proprioceptive information such as touch from the body up into the sensory cortex via thalamus. The spinocerebellar tracts four divisions transmit subconscious proprioceptive information from the body up into the cerebellum. The anteriolateral Spinothalamic tract transmits temperature and pain information to the thalamus and then higher up to various cortical areas. 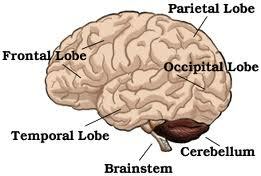 The cerebellum is an amazing area that comprises 10% of brain size but contains over 50% of the total neurons. This alone tells you its importance. The Cerebellum matches intended movement or patterns with sensory information to help create a prediction of the outcome and then relays this information to the brain stem and motor cortex. In this way it is able to react to the variations in patterns through the sensory systems and vital to the model of patterns, perception and prediction in the brain. The Cerebellum compares internal feedback information that reports intended movement with external information that reports the actual motion. It is constantly integrating information from various senses, comparing them to stored patterns and helping us adjust to perform a task. It is essential in executing coordinated motor control tasks both in terms of planning and modification during execution. It is in communication (via thalamus) with the higher brain structures of the cerebral cortex that allow it to compare our movement with and then adapt many of the stored patterns. The constant loop of sensory and motor information between the cortex and cerebellum is vital for our movement success. Receives input from visual cortex and vestibular nuclei. Helps with important reflexes such as the vestibulo ocular reflex . The vestibulo ocular reflex is characterized by compensatory eye movement induced by head movements. As the head is generally constantly moving along with the movement of the body, this reflex is particularly important. The cerebellum actually learns patterns to be able to provide feed forward motor control to regulate motion. This anticipatory ability (even in before sensory feedback occurs) allows smooth and accurate motion to occur. This must be a learnt behavior assigned to a motor pattern as we build a vocabulary of movement and based on previous sensory feedback rather than instantaneous feedback. Receives information from cerebral cortex via pontine neclei of the pons. The cerebrocerebellum is involved in high-level internal feedback circuit dealing with motor planning and regulating cortical motor patterns. To understand our clients/patients movement we also have to understand how the different sensory pathways influence the execution of our movement. This has to include the visual and vestibular systems as well as the proprioceptive as they play a major role in the sensory matching within the cerebellum. We will discuss later in the blog the implications of sensory mismatch. All of our senses including smell and hearing will have implications for movement as they help us form a representation of the world around us. The sensory system does display a hierarchy of importance with the visual system often biasing information from others sources. In essence that means the stretch and strengthen model of affecting tissue maybe redundant in the face of higher dysfunctions within the sensory system hierarchy. ‘Stretching out’ a muscle such as a tight pectoral may be futile. Massage, needling, releasing and manipulation as well. 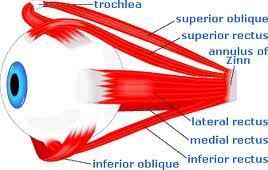 The muscles postural state/position that is dominated by an ocular imbalance will prevail in the long term until it is rectified. Up to 70% of postural control comes from the eyes and motor pattern and visual information are integrated within the brain. Such things are not controlled at a ‘local’ level of bone, joint or muscle movement. The anticipatory cerebella activity influencing muscles at a local level to maintain a predominant posture may be too strong to overcome without addressing the sensory cause at a higher level. Ocular weaknesses and lack of control that affects our field of vision or eye dominance will directly limit our ability to move. The brain suppresses information from the weaker or less dominant eye (unless short sighted, go figure?) leading to a reduced field of vision and a dominant head, body posture and movement patterns to accommodate the stronger eye. This suppression can happen if the images from each eye don’t match, one is blurry for example, the brain may choose to suppress the information from it. Changes at a muscular level will not change this postural motor program within the brain that is dominated by the eyes. A shift in approach maybe needed with long term postural problems that do not respond to localized (muscle level) treatment. 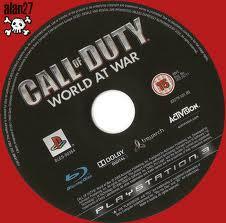 This can also create intra system sensory mismatch. Sensory mismatch is something we will discuss later in the blog. Much of our so-called proprioceptive training is really visual, vestibular and proprioceptive as we are probably using the first two systems for balance and stability. We tend not to look at the visual and vestibular system when we look at movement dysfunction or ‘stability’ however. Any of our sensory systems will impact on our movement potential in terms of muscular length and force that are controlled by brain based motor patterns. Our assessment and treatment instead focuses on localized and contrived muscle activation in non functional positions (prone) that does not take into account the pattern recall, perception and prediction model of the brains role in movement and pain. In fact over time sensory information can alter the way we move. Rather than remaining physiologically set, as was the prevalent understanding of the brain, the brain is a plastic and changeable area, both in terms of physical structure and functional organization. As we learn and experience new things the brain is able to make new neural connections and strengthen existing ones involved within a new physical skill or even non physically such as learning a new language. This follows the “neurons that fire together wire together” principle from the first part of this blog. The neurons involved in the new patterns strengthen their connections plastically changing the functional organization of the brain. Connections or patterns that we don’t use, well simply, we lose or are eroded! That’s why when you perform a skill you have not performed for a while; you probably will not be as good at it as when you are regularly practicing. 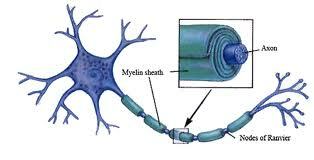 Simply put less active axon branches die off and more active ones persist and grow stronger. In this way we refine our neural capability for efficiency and therefore increased survival and performance potential. This process is modulated by what we do on a daily basis. This has huge implications for movement and posture. 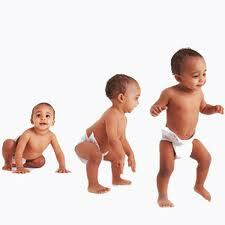 If we do not use certain movements of the body then we will get worse at using them in the future. The neural connections and associated patterns with these movements diminish or are overtaken by stronger patterns. A good example would be a flat foot. The neurons associated with the motor pattern of creating an arch within the foot will not be as strongly connected as they would with a foot that regularly creates an arch and has neurons that fire together to create this reaction. In this case it would be move it or lose it! So the neural hardware required to run this particular software or movement program is not as strong as it should be. Simply applying a software/movement pattern to the hardware without trying to upgrade the hardware may mean the movement will not run as smoothly as you desire. Simple feedback based exercises or manipulations may not address the hardware issues associated with creating neuro plastic change. The process of changing the hardware maybe a far more concentrated, cognitive and directed approach than subconsciously driven exercise, stretching or hands on techniques. The change of a long held postural or movement pattern can be a challenging process that requires a level of cognitive engagement. To to break the predominant pattern you have to be aware enough not to slip back into it! Within our cerebral cortex we have cortical representations of areas of our body. This cortical representation is a network of neurons that can be in many areas of the brain and is associated is with an area of the body. 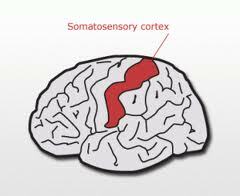 The most famously understood is in the somatosensory/motor areas. 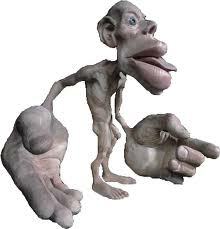 So for the foot we have a foot area and for the hand a hand area! Sensory information from the body is projected to the area that it is associated with. Dr Penfield way back in the 1930’s described these areas as the Homunculus or little man when he first mapped the cortical areas. A famous study by Merzernich in 1984 mapped a monkey’s hand before amputating the third finger and then mapping the brain again 62 days later. He found that the second and fourth finger had invaded the area formally associated with the third finger. A case of use it or lose it! This has huge implications for conditions such as phantom limb pain as explored by the great neuroscientist Ramashandran. Even though the body part has been amputated the cortical representation of the body part remains. Adjacent areas that are somatopically-organized invade this remaining area. This means the wrist representation is next to the forearm, forearm next to elbow etc. So the arm representation that remains, even though it has physically been amputated below the elbow, is receiving sensory feedback from the elbow that has invaded the cortical space formerly occupied by the arms sensory feedback! Flor et al (1997) found with chronic low back pain patients, the cortical back representation in the somatosensory cortex (S1) had invaded the lower leg representation and the extent of this expansion was closely associated with the chronicity of the pain. This sensory change also has implications for our ability to move. Our sensory information flows through our sensory areas before going to our motor areas. In this way what we are sensing directly affects the way we move. Equally the way we move affects our sensory areas. This again can be a case of move it or lose it. Thomas Hanna coined the phrase ‘Sensory motor amnesia‘ A condition in which we lose the ability to voluntarily move certain parts of our body in the ways that we want to. Often they stay ‘stuck’ in an unchanging posture either unable to relax or contract and create change in our postural position. This can come about through habitual movements and postural positions and persistent protective motor patterns after an injury. The associated neural pathways to change the posture or move these parts of our body will fade with inactivity. Both David Butler and Dr Cobb of Z health have cited this blurring or smudging of the map as a cause of, or as a result of pain. The brain can perceive the inaccurate map as a ‘threat’ to the system as reduced map clarity will have an impact in cases of sensory mismatching. This remodeling also happens in the face of pain. Previous injury and pain therefore affects future movement through neuroplasticity. Australian neuroscientist Lorimer Moseley has been researching the sensory cortex changes in chronic pain patients and how this affects motor control. The implications of this are important because we all pick up injuries both minor and major in our lifetime that will erode and remodel our movement ability at a cortical level. Rehabilitation from injury generally involves getting rid of the pain response and not restoring any movement deficits or neuroplastic changes associated with the injury. This can lead to chronic injury/pain situations. Localized protective motor patterns originally induced during a pain response may persist even though pain has ceased. This can also alter gross movement patterns and affect other areas within a function related kinetic chain. Sensory motor mismatch has also been attributed to pain. We can relate this back to the input mechanisms in the cerebellum discussed earlier. McCabe (2005) examined Ramashandran’s (1995) informal implication of pain in the absence of tissue damage being caused by incongruence between motor intention and proprioceptive feedback. A mirror was used to disrupt motor command and proprioceptive feedback in this study. Surely this would also involve the visual system, which must be taken into consideration when discussing sensory and motor congruency and looking at the cerebellar inputs and outputs. Dr Cobb from Z health also discusses sensory mismatching as a cause of threat and pain to the body. 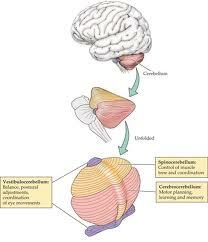 For example if we have an eye dominance that creates a tilted and rotated head position it maybe that the visual system information is now at odds with the vestibular information when integrated in the cerebellum. The head position assumed to be in neutral from the visual system is not in vestibular neutral (because the head is tilted) The information from each source is conflicting. This can lead to inter sensory mismatching and a ‘threatened’ state in the brain. Pain is a complex subject however, not just linked to proprioceptive or nociceptive feedback. There are many brain-based reasons for pain beyond the scope of this fairly simple blog and many other areas of the brain to explore in relation to pain. (disclaimer over!) One such reason is the apparent threat of damage to bodily tissues without input from nociceptive fibres. In the next part we will look at the prediction the brain makes based on the stored pattern and the perception of sensory information it receives. This prediction may result in pain even in the absence of any tissue damage. In this way the body can predict a threat to the tissue even in situations when it may not be warranted. We will also look at the central sensitization of the processing of sensory information. Signals that may not have previously exceeded the threshold for threat or pain will can be interpreted as thus as the central threshold decreases. R and I Phase Courses, Z health. So I have seen various variations on Gary Gray’s view that muscles are reactors. I think this is spot on. Muscles ARE reactors. I think what Gary meant by this was that generally we see muscles as concentric force producers. Actually during movement we tend to need to decelerate motion by eccentric contraction first. Think walking first we flex to attenuate gravity, ground reaction forces, mass and momentum before creating force to move. So we are reacting to forces acting on the body before we create concentric force. Some people have added variations on this theme talking about bones and joints feeling movement and muscles being dictated to by to this motion. At Cor-Kinetic we feel that view is not the full picture. Muscles are reactors, but not to bones and joints but to the brain. We must remember movement is not just a feedback model but also involves feed-forward too. Bone and associated joint movement will create mechanoreceptor afferent (feedback) signals to the brain based on this information the brain may choose to allow the muscles to lengthen, shorten or even stay the same length. So in fact the muscles may dictate to the bones, something we see all the time when people lack ROM! Muscles can choose to limit the deceleration, in the face of force acting on the body, we go through rather than just dumbly reacting. The muscle spindles are not just feedback mechanisms but also feed-forward (efferent). The intrafusal fibre tension is regulated feed-forward from the brain. This means that if spindle tension changes efferently then that will change the spindle gain and affect the afferent feedback information (change of length and rate of change of length). The brain can change the sensitivity of the information that it receives back from itself. Amazing. We see this constant stiffness adjustment as we run on different surfaces. The leg spring stiffness remains constant although the ground stiffness changes. This means that we create changes in muscle tone through efferent changes in spindle gain even though the biomechanical bone motion remains fairly constant. Farley has done some great research in this area. Click here for research paper. So the brain will dictate the muscular “reaction” to the bone and joint motion, not simply react by moving. In fact we know that muscle activation patterns changes with pain not simply in response to bone motion. In face we develop protective motor patterns to deal with injury and many times these are not full rehabed back to pre injury movement capacity. In fact over a lifetime, especially if we are involved in sport, we pick up numerous injuries that change our motor patterns and create our individual movement signature. So we can use our feed-forward control such as changes in spindle gain to protect against unwanted bone motion as perceived by the brain. Do simple changes in bone motion (especially passively created by external sources such as practitioners hands) create long term adaptations in motor patterns? In my experience not always. We also know pain is a reaction to a set of patterns in the brain, whether this is a motor pattern or emotional or chemical pattern. It can even just be through the firing of a neuron associated with pain and an area of the body as in the ‘neurotag’ concept from Lorimer Moseley. This could even be through simply talking about pain or an area of the body associated with chronic pain. We can force bones to create a reaction in a muscle. This may not happen when the body has to control its own movement based on its stored motor patterns and previous experiences that are much more complex than simple biomechanical movements. The body is one massive feedback loop. Systems higher up in the brain beyond the spinal cord and cerebellum will also dictate how our muscles react. These can be Ocular, Vestibular, emotion, pain perception and previously stored patterns and responses. One last thought. If the body was simply biomechanical and force based model then everybody with structural problems would be in pain and everybody who has a “good” structure would not be in pain. We know this is not true. People achieve amazing things and pain-free lives with academically terrible foot types and huge leg length discrepancies. Research supports this. So what mediates their pain and performance responses? Why the brain of course. So what that means is for someone with a small leg length difference that maybe the cause of their pain, for someone else with a huge LLD it may not be the cause of their pain. Someone’s individual brain and CNS response will dictate this. This maybe why so many scientific study’s are inconclusive on many treatment types and structural abnormalities effect on the body. “Does not always” does not “mean will not ever” Can we have any definitive in the body? So the evidence based approach may disregard the right approach for the right person. It just means nothing is right for everybody all the time. But we knew that right? That’s why some of the people I respect so much have such a multi faceted approach to treating the body and learning from a broad range of experts in different fields. This means that people who tell you that your LLD IS the cause of your pain COULD be right 50% of the time or a certain foot type WILL cause you back pain maybe also right. That fascia is the key to everything POSSIBLY MAYBE right some of the time. But behind their certainty may not be anything real but just personal experience clouded by bias. As all of us are clouded by, myself included. As the famous Betrand Russell quote goes “The trouble with the world is the stupid are cocksure and the intelligent are full of doubt” I doubt think this is literally true because people are sure AND intelligent. We just need to be more full of doubt in our methodology and be aware of other influences on the body and its pain and performance. Another approach maybe to start to look at the influential mechanisms in the brain as well and improve the brains confidence and control of areas that it may perceive as a “hazard” to the system. This could happen at a local joint level or a higher cortical level or a bit of both! Not the most scientific blog but thanks for reading. Check out http://www.cor-kinetic.com for more information on what we do and our courses.